$100,000 Auto Accident Settlement – Defendant claimed the accident “never” happened! Attorney Phil Berenz is a bicycle accident attorney in Chicago who has been handling bicycle accident related matters for over 16 years. The City of Chicago has a reputation of one of the most bicycle friendly cities in the United States. Chicago may be friendly for bikers in comparison to those who live in other cities, but that also means more cyclists on the road. What that also means is that there are more accidents involving bicycles. According to the National Highway Traffic Safety Administration, more than 600 people are killed in bicycle accidents every year in the Unites States, and more than 60,000 are seriously injured. If you or someone you love were the victim of a bicycle accident in Chicago, do not wait to speak with Chicago bicycle accident attorney Phil Berenz as soon as possible. If you have been involved in a bicycle accident, you may be entitled to compensation. The first step is to seek experienced legal representation. Attorney Berenz can advise you of your rights in the event of an unwarranted injury and can investigate the validity of your case. If your life has been altered in a serious bicycle accident, and if your accident could have been avoided had the driver exercised reasonable care for your safety, you could have grounds for a personal injury case. Our Chicago law firm is focused exclusively on personal injury cases, including those involving bike accidents. 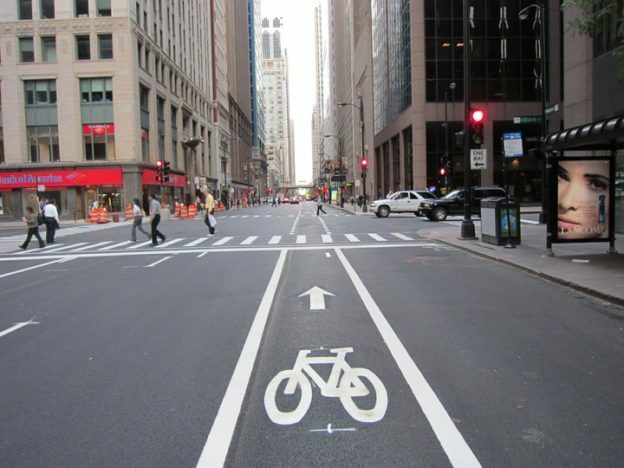 Call 312-375-6524 to discuss your case with Chicago bicycle accident attorney Phil Berenz. The call and initial consultation are always free.